Hey y’all! So sorry I was MIA yesterday… I’ve mentioned a few times, but work is seriously kicking my behind and it means that sometimes me personal life falls behind. When I logged on to my computer to get my blog post ready I realized I was WAY behind in answering emails (#oops) so I spent the night catching up – and I can’t tell you how good it feels! I’m trying to keep up with it all, but it can sure get hard y’all! Any who… on to today’s look! 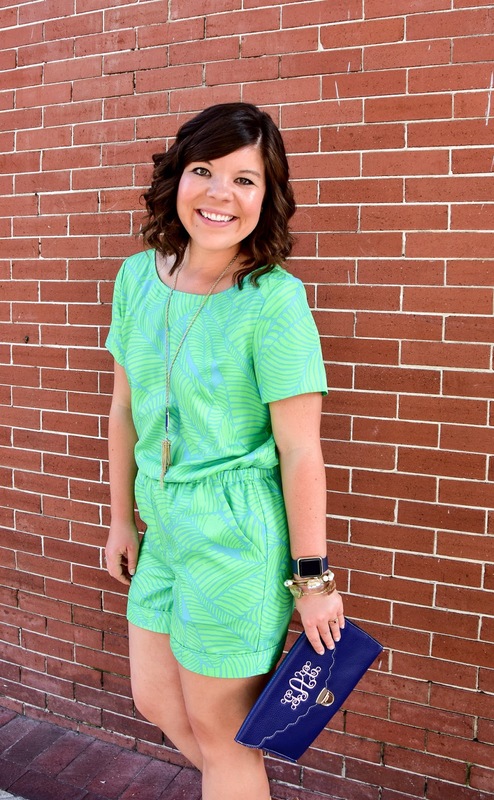 My closet is no stranger to bright, bold patterns, so it can’t be a surprise that I scooped this one up as soon as I saw it! This one is actually from Loft a summer or two ago, but when I came across it NWT on Poshmark I could’t resist! (Side note: I’m kind of obsessed with both buying & selling on Poshmark– so many good deals!!) 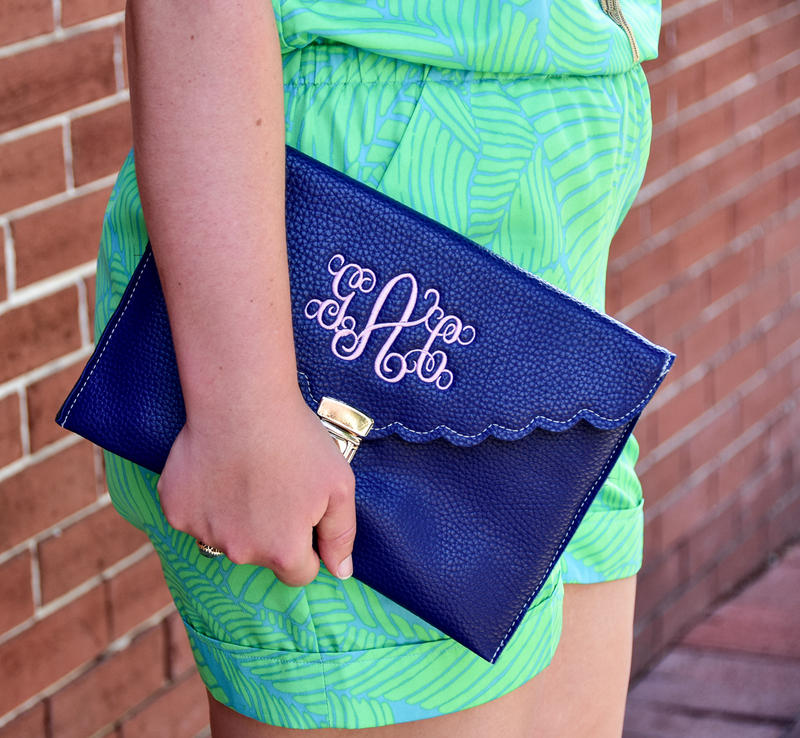 Paired with my new & super comfy wedges and trusty monogram clutch- this is a great summer night out look! Hope your Thursday is a magical one!! Only one more day until that wonderful day… FRIDAY! And only one more day until the #NSale opens to the public 🙂 YAY! Linking up with Spotlight Weekly Linkup and Summer Style Linkup. 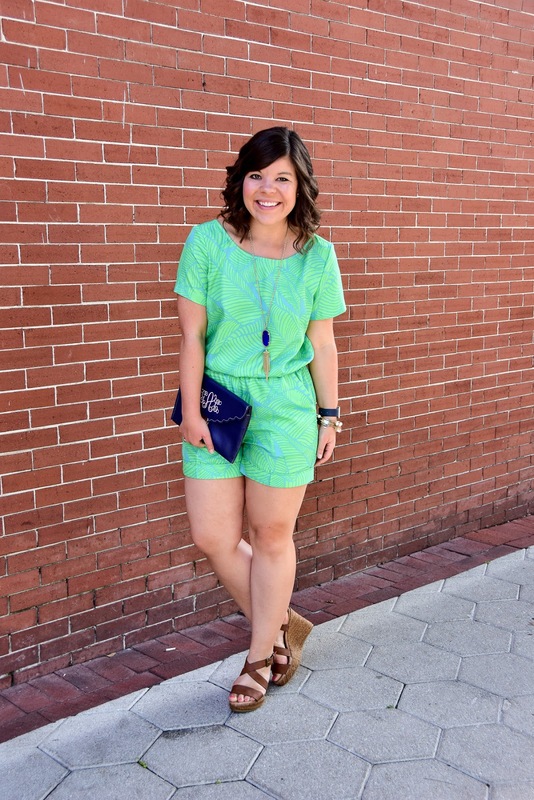 This is such a cute romper, so glad you were able to find it again, especially NWT! That romperis CO ute!! Love the color. I hear ya on being busy. I feel like I am drowning in emails and tasks! I LOVE this romper! I also love how you paired it with the bright blue, so fun and unexpected! Love!! 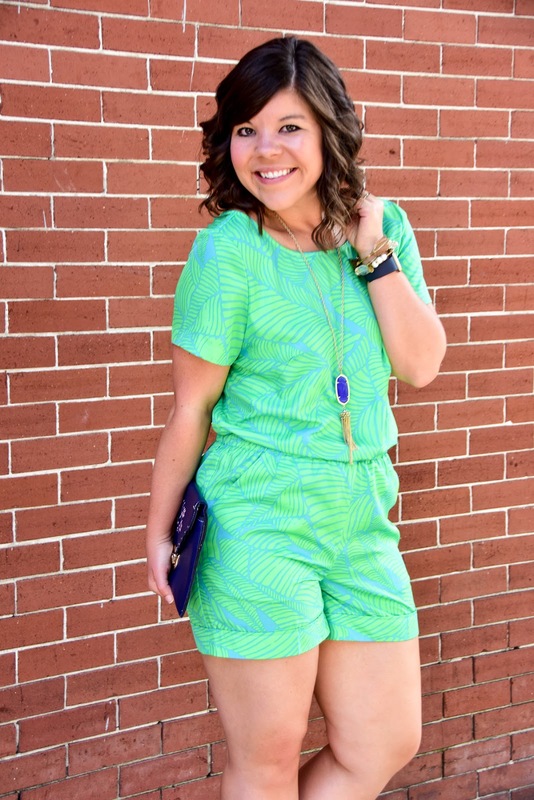 What a fun romper! 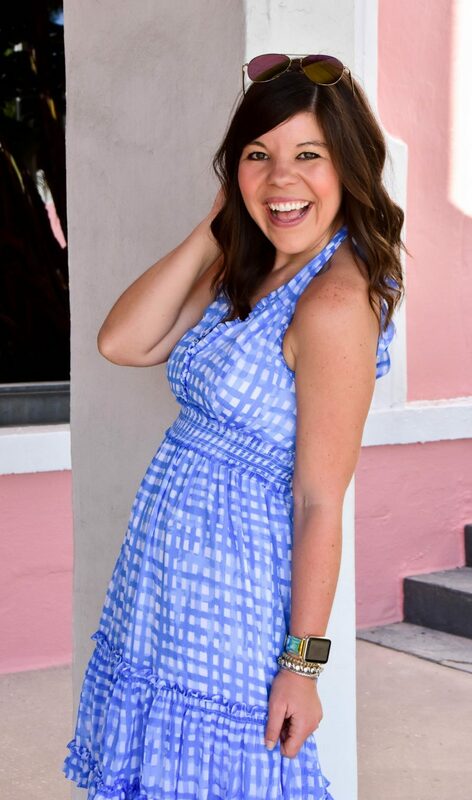 The print is perfect for the summer and you look great in it. 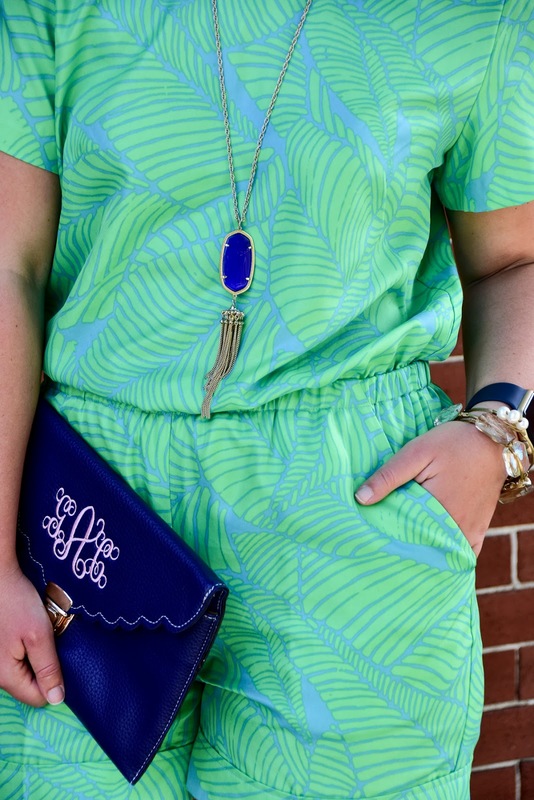 Tropical and a romper – two wins in one! Cute romper! I love the color and the subtle tropical print!